To date, the Major League Soccer Association of Italy has partnered in this vision and now we have the Women’s Pro Volleyball League joining us as well. It begins with the players choosing a value they want to exemplify on the field and off of it. 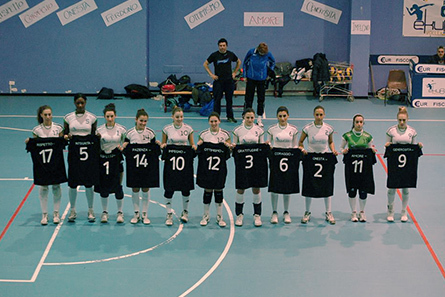 Each player wears a special jersey with that value printed in place of his/her name with the official player’s number, thus symbolically wearing that value with the same importance of his or her name. This is a direct invitation to players and the public to think purposely about their core values in life and to deal with their ”daily challenges” by wearing the right attitudes. The strategy of this project is to launch a direct message of encouragement to the other players and the public during an international sporting event, which is an extraordinary moment to launch such a message. 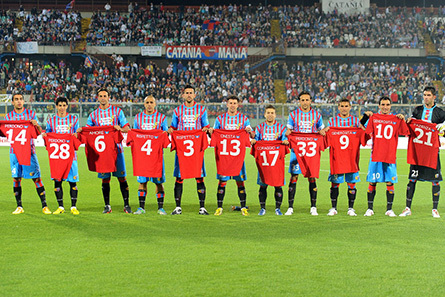 In Italy, this campaign was first realized in cooperation with the Catania Pro Soccer Team of Sicily in 2013, which instantaneously catapulted it in front of approximately 40 Million viewers and sparked media attention on major TV and radio stations as well as major newspapers. Due to this overnight success, other collaborations are in process with teams of various sport disciplines. Contact us at team@ficagna.info to learn more how to involve your sport team.